At some point old notation gave way to new notation. The unit note of contemporary music is the Semibreve, and the half note, the Minim. Both words mean short (and shorter) time duration. Early music had: the Long, the Breve, and the Semibreve. The Semibreve being the shortest note, whereas now it is the longest. Both systems were binary: ie each succeeding note was half the preceding note. My theory is this: With the invention of movable type used in printing presses the dies for the Long, the Breve, and the Semibreve would have become clogged with ink very frequently. Far better to have dies with solid surfaces like the Crotchets, Quavers, and Semiquavers etc., with only the occasional Minim and Semibreve. In short, has the change from long notation to short notation been precipitated by the invention of the printing press? Or is there another explanation for the change in notation? I believe that the transition to shorter notes came in mid-16th century Italy, with the development of the note nere (literally "black note") style of madrigal. In addition to using shorter note durations, note nere madrigals also replaced the use of the slashed-C time signature (alla breve) with an open-C. In theory, this should have resulted in halving the tempo, thus cancelling out the shorter note values, in which case, note nere would only be a notational convention. While this doesn't seem to have totally been the case; it appears that musicologists are uncertain of the exact stylistic implications of this change, much less the reasons behind it. For reference, I found the first page of a 1965 article, The Note Nere Madrigal by James Haar, which states "the line between notational fad and stylistic advance is doubtless a thin one." Unfortunately, I don't have access to the full paper, so I can't see where the author ultimately draws that line. Nor do I know how far modern historical research has gone since then. Chant (from around the time of Guido if not before) used solid head notes, so I don't think the solid-open head means anything other than notationally. 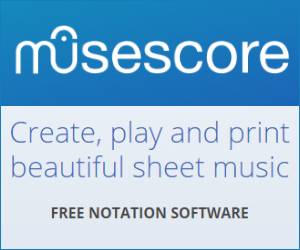 The linked paper suggests that solid notes became open to make it easier to notate by pen (which begs the question of why new solid but flagged notes developped) https://www.thelantern.com/2015/09/professor-breaks-down-history-of-music-notation/. Prior to Gutenberg, open head notes were used for other purposes. We weren't using bar lines (or time signatures) as a standard for marking meters. The precursors of bar lines were actually used to denote rests, with the length of the line determining the number of rest beats. Meters were noted by "colorization", with open head notes indicating duple meter and solid note note heads triple meter. There were significant variations in notation geographically, and even where handwritten notation was identical there were significant variations in the interpretation of the notation - the "Italian" style was binary, while the "French" style was ternary (similar to modern "swing"). The development of the printing press didn't lead to changes in notation - it lead to the opposite, the fixing of notation in a standard form. Music notation adapted to what was readily available for notation: Once you have a cast for a symbol, why spend the time developing another one for the same concept? (This is also seen today, with software like Finale and Sibelius leading to more standardization in chord symbols). And the clogging of type was definitely not a factor. If you've ever visited a print shop in a historical setting you might have witnessed the regular cleaning of the form with brushes. Ink is generally sticky stuff, and as the form (the type locked in the chase) collected dust and dirt, ALL of the type surfaces became fuzzy in the transfer of images to the page. While that's going to happen faster with open symbols, in the context of your hypothesis it's important to realize that the bulk of printing wasn't music - it was text. We did not alter the symbols for all of the letters with closed loops (abdegopq)... we developed the habit of regularly cleaning the printing form. By the time we started printing music we had already been printing text for about 20 years, so printing open headed notes was no more difficult than printing p's and q's. Each language/notation system provides a fluency but also imposes limitations on the expression of creative ideas. Our current (Western) music notation system is based on an archaic modal framework. Accidentals were added later, to accommodate an expanded chromatic pitch system. Temperament methods (n-limit just intonations, meantone, equal temperament, etc) were then added to accommodate tonal modulation and harmonic intonation within a chromatic system. In many cases, notation (symbol) evolutions are a secondary effect of advances in theoretical terminology (nomenclature). Pitch (note) duration terminology has evolved in specificity from indirect, esoteric and cumbersome terms (crotchet; hemidemisemiquaver) to simpler quantified terms (quarter note/rest; 64th note/rest). By indirect, I mean note definitions like: "the value of a quaver is one eighth of a semibreve, or half of a crotchet". Direct terminology skips the step of esoteric translation: the value of an quarter note is 1/4 of a whole note, 1/2 of a half note; the eighth note is half of a quarter note, etc. As musical languages continue to evolve, the larger problem becomes: how much longer can ‘bolt-on’ expansions to a simple modal (7 pitch per octave; A-G) notation and theoretical framework suffice. One modern example is microtonal (>12 pitches per octave) music, which is pushing modal notation and modal intervallic theory to its endpoint. As a result, we see an increasing notation 'discordance' in the continuing invention of numerous, incompatible pitch-modifier symbols (accidentals) necessary to notate musical ideas beyond the limits of a chromatic (12 pitch per octave) system. Pitch (note) duration terminology has been updated to the modern era in its quantitative basis. It has a dual complexity in notating a wide array of simplified, absolutely-defined duration relationships (half note=2 quarter notes), as well as symbolizing a contextually adaptive structure: accommodating flexible variances in the temporal duration of a quarter note (in seconds), relative to tempo or pulse. However, the underlying modal system and theoretical framework of music is proving to be much more resistant to modern evolution. How to read accidentals in medieval music “modern” notation? Does music have a relative interval notation?